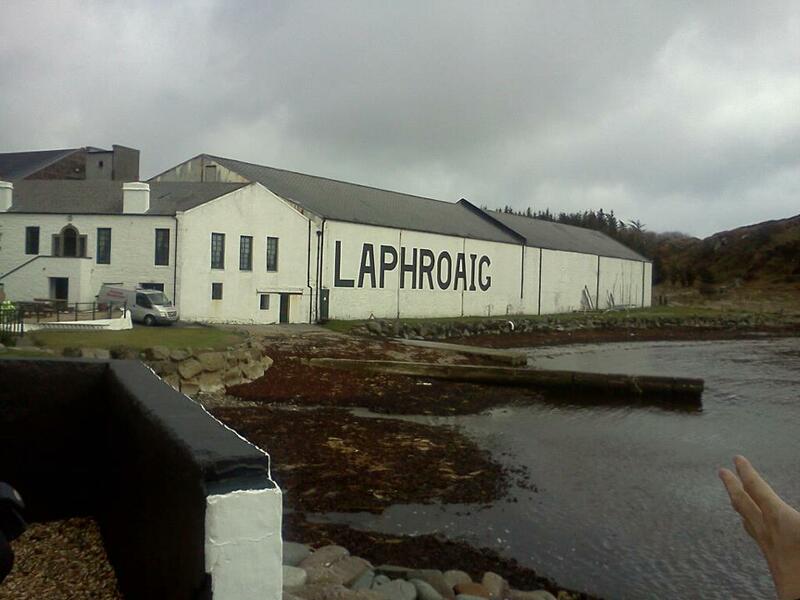 The full history of Laphroaig is not fully known, much of this has been handed down through the ages which makes it difficult to separate truth from fiction. It is know that the locals picked up the secrets of distilling from the Irish that had been working the land. It is known that in 1800, the Johnston Family started working on the farm and that soon after messers Charles and Willie Doig were asked to do some ‘work on a distillery’ at Laphroaig. By 1815 Laphroaig’s reputation had spread and the tax man was getting suspicious so they officially established Johnston & Johnston and the legend of Laphroaig begun. Donald & Alexander Johnston’s distillery grew in popularity quickly, an expansion took place in the 1820’s and these buildings are still used to this day. Laphroaig still does some of its own malting at the distillery, the ground floor of the malting house is now a museum and a lounge for Friends of Laphroaig to sit in and watch the waves roll in to the bay while sipping on a glass of the favourite expression of Laphroaig. A tragic accident occurred in 1847 when Donald Johnston fell into a vat of fermenting wash and unfortunately passed away. The distillery remained in Johnston control until 1907 when it passed to the Hunter family. This family ran the distillery for over 70 years, until 1954 when Ian Hunter died. Ian had no children and left the distillery to Bessie Williamson. Bessie visited Islay one for summer for 3 months of work and she fell in love with the beautiful Island, so much so that she remained there for over 40 years. The distillery is now owned by Beam Inc. along with Ardmore and Connemara. In 1994 the Friends of Laphroaig club was founded, to join this wonderful club all you have to do is buy a bottle of Laphroaig, go to the website and input the unique code and voila, you’re signed up! Just under 600,000 people have taken advantage of this so far and each one is now the proud owner of a square foot of Islay! Other benefits of the club are a member’s lounge and the distillery where you can collect your “rent” of a dram of Laphroaig, member’s area on Laphroaig.com and discounts on bottles. Laphroaig is one of the best selling single malts in the world, they have a core range of 10 year old, Quarter Cask, 10 year old Cask Strength and 18 year old.